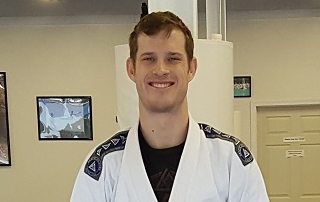 The Gracie Jiu-Jitsu Academy in Baltimore City stands alone in its ability to empower anyone - regardless of age, gender, or athletic ability - using the time-tested techniques and teaching methods perfected over the last century. The 4,000+ sq. ft facility is located in Federal Hill, has a parking lot on premises and convenient access to free street and metered parking spots. Gracie Jiu-Jitsu is a martial art based on the principles of leverage and timing, in order to defeat larger opponents. We train our students in practical self-defense techniques that allow efficent use of one's energy in defending themselves, while forcing attackers to waste energy. Students are trained to end fights through achieving control of an attacker and applying a joint lock, choke hold, or escaping the attack. 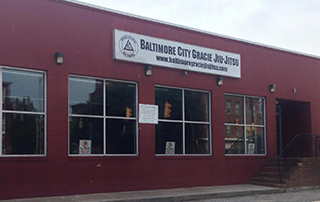 Baltimore Gracie Jiu-Jitsu is located in the Federal Hill neighborhood of Baltimore, Maryland. Baltimore Gracie Jiu-Jitsu one of the many Gracie University Certified Training Centers throughout the world. When you enroll at our Jiu-Jitsu School you get free training at all Gracie Jiu-Jitsu CTCs in the world! Our Youth Gracie Jiu-Jitsu program focuses on teaching self-defense techniques to help students develop strength, improve coordination, and build confidence. Our fun and structured learning environment helps students improve their listening and attention skills while becoming more comfortable in social situations. Our program teaches students how to react in a potentially confrontational situation, how to manage distance, escape the situation, and if necessary how to defend themselves and control an aggressor through leverage-based techniques. Beyond blue belt, Gracie Jiu-Jitsu consists of hundreds of advanced techniques organized into a clearly defined, systematic curriculum called the Master Cycle. The Master Cycle’s unique structure simplifies the journey to black belt by organizing all of Gracie Jiu-Jitsu into seven positional chapters (Mount, Side Mount, Guard, Half Guard, Back Mount, Leg Locks, Standing), each of which is studied for several months before moving on to the next chapter. Copyright © 2018 Baltimore City Gracie Jiu Jitsu. All rights reserved.